Back in the 1980s almost every state with U.S. Forest Service land got a statewide Wilderness bill. Two states that did not were Idaho and Montana. 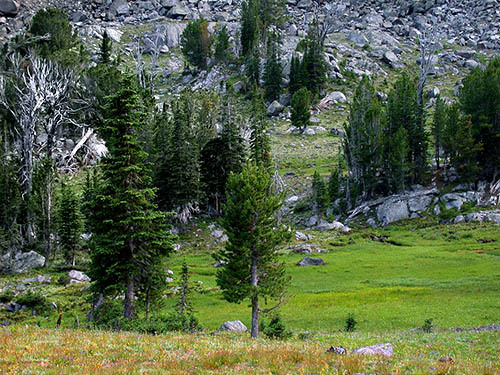 Idaho had, and still has, more unprotected roadless national forest land than any other state. Montana has less, but it has a lot. A statewide wilderness bill for Montana passed, but President Reagan vetoed it, one of the few vetoes ever cast against a wilderness bill. With political changes, efforts at designating Wilderness in Montana are stirring again, although it is more likely to be a regional approach, that is, regions of the state as in Nevada and Idaho. The product of these regional “conversations” varies, with Idaho’s CIEDRA the best, or the least bad, depending on one’s point of view. The article below describes what is going on in Montana. The major effort so far is a proposal developed by the Montana Wilderness Association and timber interests for a deal on the Beaverhead National Forest (SW Montana) that would designate a lot of Wilderness and allow a lot of timber cutting, but would end one of the big objections to timbering,–logging roads left open. Montana wilderness bill still elusive despite Democratic takeover. By Faith Bremner. Great Falls Tribune Washington Bureau. One thing all of these bills should have in addition to Wilderness designation and benefits for anti-wilderness or non-wilderness interests is additional side payments to conservation. Wilderness designation is not enough in today’s unravelling landscape. If conservationists don’t ask for more than some wilderness up in the rocks, like in the photo above, they are taking a fool’s bargain.